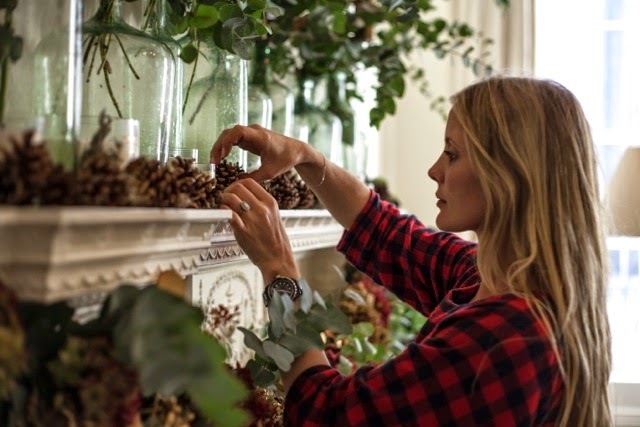 I was completely overjoyed when one of my all time fave brands,Jo Malone London, approached me suggesting we collaborate on Christmas decorating a few months ago. 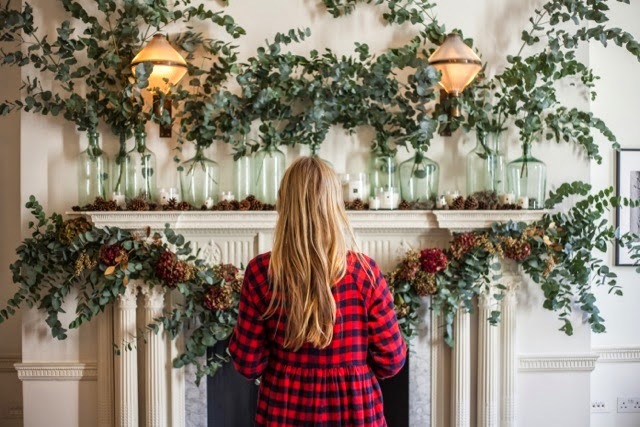 They chose four of their fragrances and my job was to come up with ideas of how to decorate their London town house for Christmas, incorporating these scents. 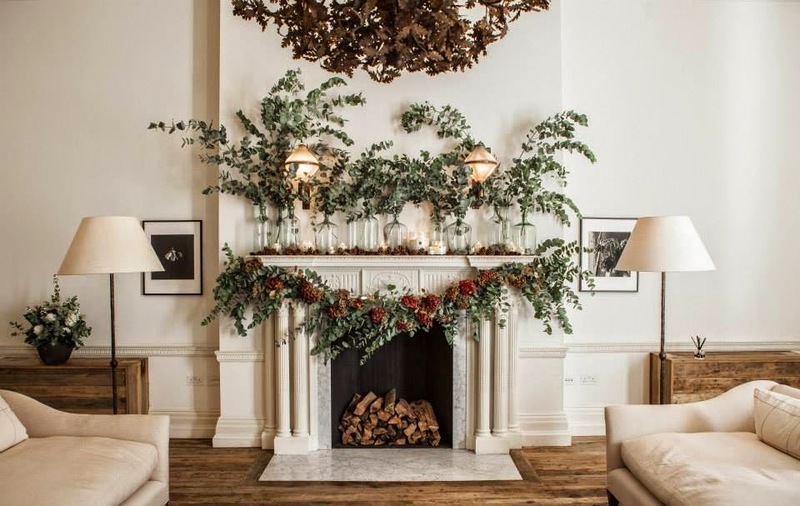 The first one was Pine and Eucalyptus and I created a very simple but high-impact mantle piece. 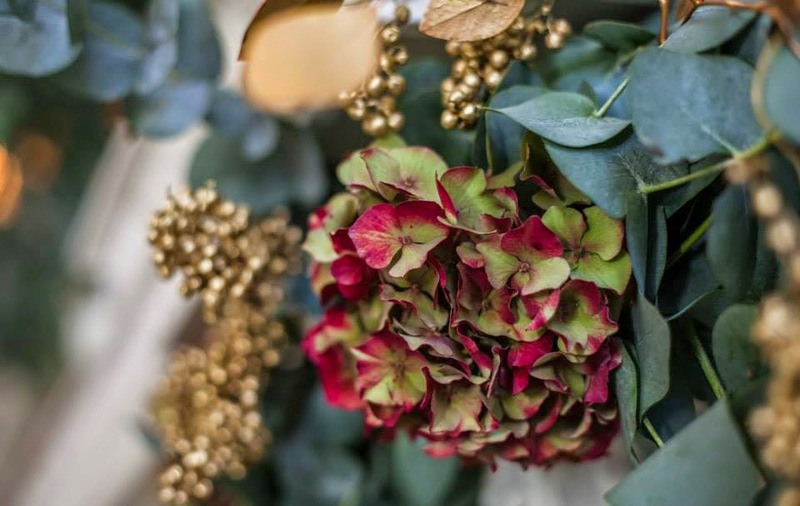 Lots of recycled glass bottles, green and painted gold eucalyptus and dark red hydrangeas. So easy to recreate at home. Measure out how long you want the garland to be. Add an extra 20 cm on each end to use as hanging loops. Lay the eucalyptus out along the ribbon, like a long, fat sausage. 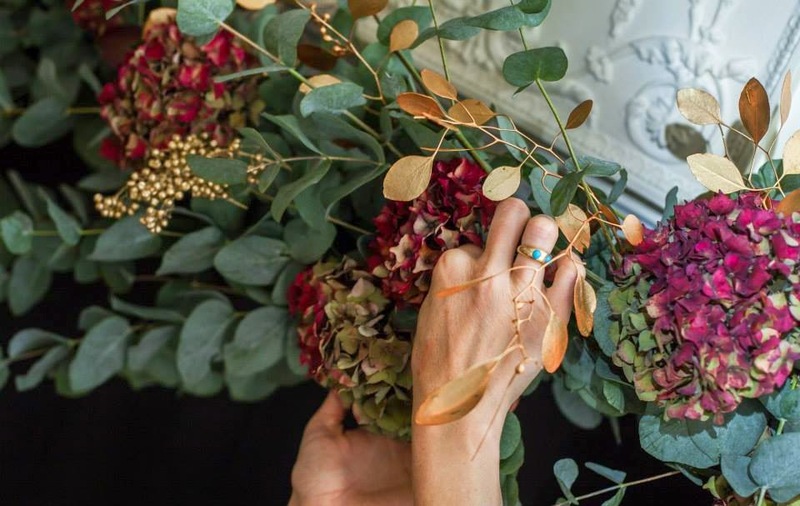 Hold onto the reel wire tightly and starting at one end, carefully wrap it up and around the foliage and ribbon to bind them together. Secure the wire at the other end. Hang the garland. Next feed in the hydrangea and golden berried eucalyptus wherever you want. It’s a matter of personal taste so keep adding foliage until you achieve your desired size and then add flowers. 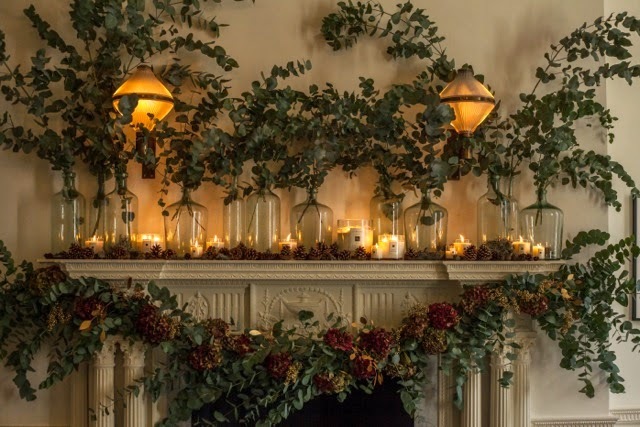 Very, very simple – arrange the glass bottles along the fireplace, mixing up the sizes. Fill the outer bottles with the tallest stems of the eucalyptus robusta, and then fill the inner bottles with the shorter stems of the eucalyptus cinerea. 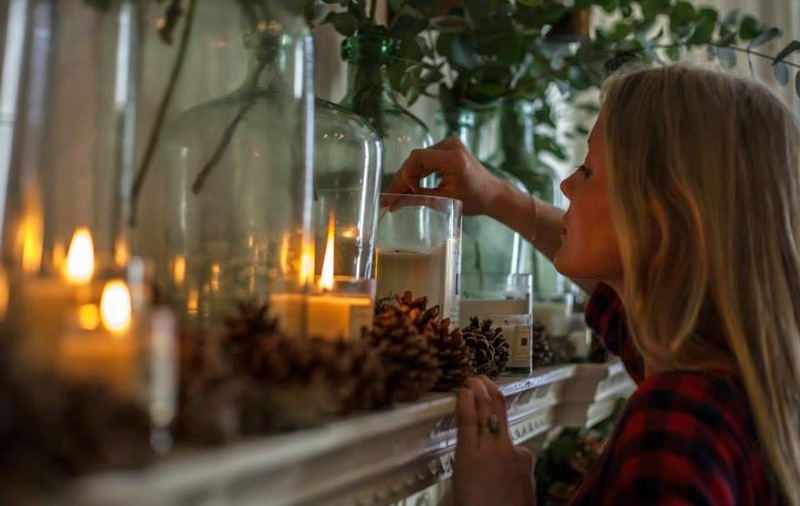 When you’re happy with how they all look, add in lots of different sized Pine & Eucalyptus candles among the bottles. Finally, scatter the fir cones and dried lichen along the ledge.